Web Apps - This is the Azure Web Sites that you use today. .NET, node.js, Python, Java, PHP, and more. API Apps - RESTful web services, connections to lots of SaaS systems like Dropbox, Office365, etc, plus security and automatic versioning. In April the Azure team added isolated App Service Environments. An App Service Environment provides a isolated and fully dedicated environment for securely running all of your apps including Web Apps, Mobile Apps, API Apps and Logic Apps. 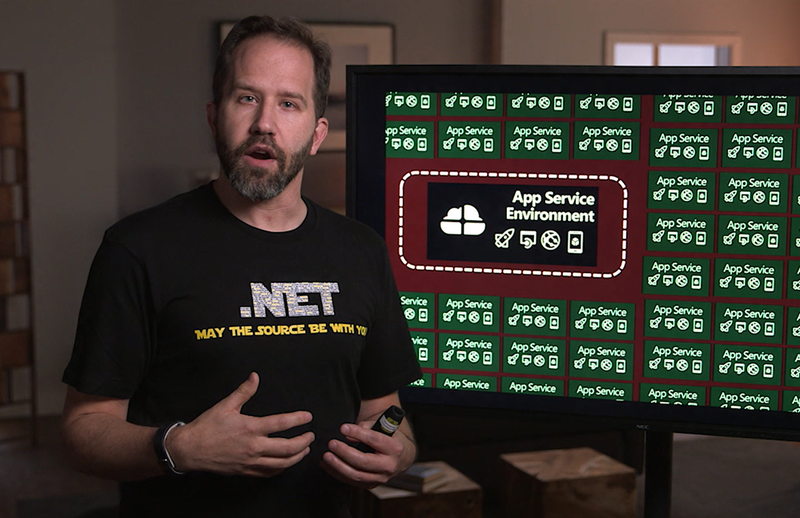 Your apps run on virtual machines that only run your apps. You aren't on a pool of shared machines like much of the cloud. These dedicated App Service Environments can also scale much larger than the standard App Service. App Service Environments always run in their own private virtual network that you control. Today at the Convergence Conference in Spain, Bill Staples announced PowerApps. The team I work on doesn't just make ASP.NET, we also make tools and services for Azure App Service and for the last year the team has been building PowerApps. PowerApps makes it easy to quickly create new business apps, connect systems and then share those apps with anyone on your team. You should go check out http://www.powerapps.com to learn about the creation process for business users (like, folks who use Office but don't program), but I decided to focus more on how a professional developer would use Azure App Service and PowerApps, so I made a video to demonstrate a real example. I wrote an app something like 13 years ago for Pioneer Courthouse Square here in Portland. The square is the Center of the City and it's covered with bricks that have the name of the people who donated to have the square built. 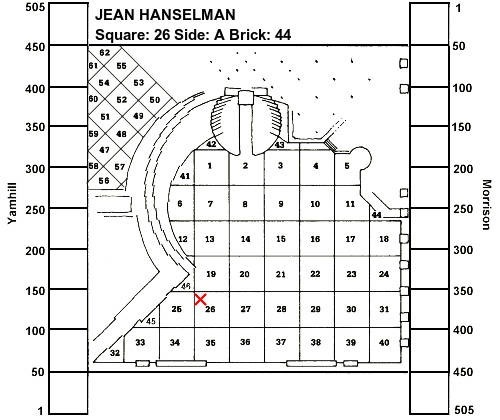 There's tens of thousands of bricks and they are hard to find. There was an Access Database and a paper map but that was lame, so I put together an ASP app and a SQL database to generate a printable map that gets visitors within ten or so feet of their brick. This is a real legacy app that has been running - happily and unchanged - for over a decade. We don't like to admit apps like this exist but the world is full of them. This apps was created before the iPhone, before ubiquitous connectivity, before web services, and before federated security. I thought it would be cool to make this legacy data available as a JSON-based web service, secure it's admin access with Azure Active Directory, build a CRUD mobile admin app with PowerApps for iOS, Android, and Windows, and then, just for fun, also create a native Android app with Xamarin 4 and the Azure Mobile Apps libraries so that volunteers can manage requests for photographs of bricks. What does this all mean? What's changed? 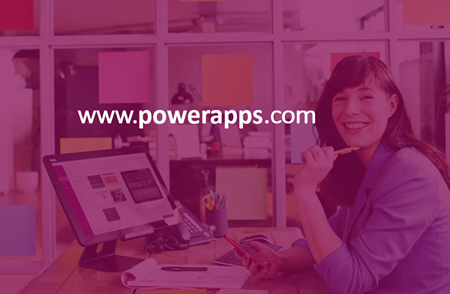 PowerApps is the business application creation side. Think of it as a new member of the Office Family. It's not a Visual Studio thing. Apps made with PowerApps are sharable with in your organization as easy as sharing documents and they run on Windows, Android, and iOS. A business user could build a new workflow app and share it with everyone. They can auth that new app against APIs like Office 365, Microsoft Dynamics, Salesforce, Dropbox, Twitter, Google Drive, and OneDrive. For example, my example app takes photos of the bricks and puts the result in Azure Storage, but I could just as easily drop them in Google Drive or OneDrive. However, for Visual Studio developers, or any developer, you still use the language of your choice (C#, F#, node.js, PHP, etc) and write Web APIs and Apps and host them in Azure App Service as you always have. But, if you want, those APIs can live in a new gallery that is specific to your organization so that anyone in your org (developer or business user alike) can use in their applications. My legacy BrickFinder is now an authenticated API living in an Azure App Service Environment. The API is being used by a website, an Android app written with Xamarin, and also an application created with PowerApps, running everywhere. One other interesting point to note is that PowerApps pricing isn't consumption based, it's user-based pricing. Pay by the head, rather than prices fluctuating by consumption. For companies with public facing apps like my startup, I like pricing that changes with the popularity and usage of my app. For enterprise and large companies, simple pricing that's per-user makes more sense and is easier to budget for. Check out the launch videos. PowerApps is in private preview now (go sign up at http://www.powerapps.com if you like), but you'll be hearing more about it in the months to come. - shared machines like much of the. I second Morten's comment... where do we get that shirt? That's awesome! Scott, you can't make a video like that without posting a link to buy the shirt. If people care more about the shirt rather than the news you know that no one realy cares about uninspired MS products. Thanks for some other informative site. Where else may just I am geting that kind of info written in such an ideal way? I have a challenge that I am just now running on, and I have been at the look out for such info.